Orange Blossom has been chasing black type all summer but faces a more straightforward task in the Ladbrokes Bet £5 Get £20/EBF Novice Stakes at Lingfield. Trained by James Given, the Showcasing filly has yet to win a race but she has not been beaten far in some quality contests, most notably the Lowther Stakes on just her second start. She was asked a pretty tough question on her debut in Listed company at York, so she has always been highly thought of. Her only appearance outside of Group or Listed company came last time out at Catterick when she was disappointing in first-time blinkers. However, with those left off, she is worth one more chance to show the ability which saw her beaten just five lengths in the Lowther by Fairyland. 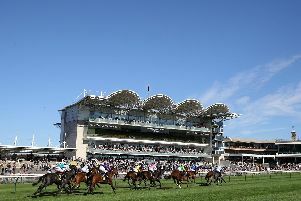 Simon Crisford’s Sun Hat can notch up the hat-trick in the Follow Sun Racing On Twitter Handicap. Fifth on his debut in December, he had a wind operation before returning in October to win at Newcastle. A few weeks later he triumphed at Wolverhampton, but given the limited winning margins, he gets in here off a mark of 78 and Crisford has fitted him with cheekpieces to eke a bit more out. Referee can strike at the second attempt for Hugo Palmer in the Betway Maiden Stakes after finishing fourth on his debut at Kempton last month. Dean Ivory has placed Lucymai well in the Ladbrokes Bet £5 Get £20 Fillies’ Conditions Stakes at Wolverhampton. She is rated 101 and won a hot handicap at Chelmsford in August, but finds herself in here getting weight off an inferior rival. The others are rated 4lb or more lower than the selection so if she runs to form, Ivory should be celebrating. John Gosden’s Fightwithme looked a winner waiting to happen on debut and can open his account in the Ladbrokes, Home Of The Best Odds Boost Novice Stakes. Third of 14 at Newmarket, his dam, Music Show, was a Group One winner. Cheltenham’s three-day November meeting gets under way with Pingshou returning from a long absence in the Steel Plate And Sections Novices’ Chase. The race has an illustrious history and has been won by the likes of Denman, Grands Crus, Dynaste and Taquin Du Seuil in recent years. Last year Colin Tizzard was celebrating the success of the ill-fated Finian’s Oscar and in the same colours of the Potts family, Pingshou starts his career over fences. Last seen finishing third in a Grade One at the 2017 Punchestown Festival, he had won at the Grand National meeting prior to that, but all that was a bonus as he has always looked a chaser in the making. He nearly made it to the track on several occasions last season, so his problem was not too serious and while he will no doubt strip fitter for a run, he remains of serious potential. A Hare Breath may never hit the expected heights, but off a mark of 140 in a handicap on good ground, he should be thereabouts in the BetVictor Handicap Chase. Ben Pauling’s charge is now 10, but he ran in the Arkle the season before last before returning to hurdles to win off 139 last term. Still lightly raced, he is unexposed over fences. There is also a meeting at Newcastle, where Queenohearts looks interesting in the Logico Mares’ Maiden Hurdle. CHELTENHAM: 12.40 Lovely Job, 1.15 Kapdad, 1.50 A Hare Breath, 2.25 Pingshou, 3.00 Tiger Roll, 3.35 Double Treasure. DUNDALK: 6.00 Wild Bob Cat, 6.30 Dash D’Or, 7.00 King’s Vow, 7.30 Dramatise, 8.00 Black Noah, 8.30 Elishpour, 9.00 Path Of Silver. LINGFIELD: 12.20 Curious Fox, 12.50 Orange Blossom, 1.25 SUN HAT (NAP), 2.00 Denis The Diva, 2.35 Nassya, 3.10 Referee, 3.45 Broughton Excels. NEWCASTLE: 12.00 Dali Mail, 12.30 Chozen, 1.05 Spirit Of Hale, 1.40 Fair Loch, 2.15 Queenohearts, 2.50 Sheneededtherun, 3.25 Wilhelm Vonvenster. WOLVERHAMPTON: 5.15 Foxy Boy, 5.45 Universal Command, 6.15 Newstead Abbey, 6.45 Lucymai, 7.15 Fightwithme, 7.45 James Park Woods, 8.15 So High, 8.45 Trolius. DOUBLE: Sun Hat and Orange Blossom.